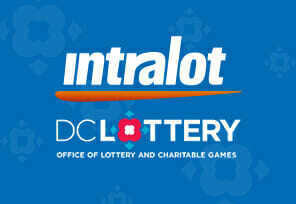 It appears that the initial alliance of DC Lottery and Intralot will go ahead as planned with the launch of sports betting in the nation’s capital, after all. The city’s lawmakers from The Council of the District of Columbia have voted 7-6 in favor of allowing the bypass of the procurement process. Despite last month’s claims that the Sports Wagering Lottery Amendment Act is to be ratified following the appeal from several professional leagues and operators, Washington DC sports wagering will remain in the sole hands of two firms. The council’s session was held on February 5th, with two councilmembers in particular – Elissa Silverman and David Grosso – being the most outspoken opposition to sole-sourcing. During last week’s session for the Committee on Finance and Revenue, Silverman tried and failed to introduce an amendment that would keep sports betting and lottery separated. Councilmember, Jack Evans, voiced the opinion of the pro-sole sourcing side and echoed DC Council Chief Financial Officer, Jeff DeWitt’s, concern that if a procurement process is indeed launched, the state could look into a loss of $60.9 million in sports betting revenue between now and 2022. Apart from that, Evans argued, at last week’s public hearing, only three speakers were in favor of a procurement process, with twelve against it. …sending it on a long and winding road towards the present moment stirred up by this controversy. On December 18th, the Washington DC City Council passed the Sports Wagering Lottery Amendment Act with a 11-2 vote in favor, making the state the seventh US jurisdiction to do so. The Act allows retail and digital sports betting in the city of 700,000 people and with teams in all professional US sports leagues. Four venues can apply for Class A license in order to offer sports betting services: FedEx Field, Nationals Park, Capital One Arena and Audi Field. DC Lottery privilege lies in mobile wagering, because their app will be the only portable betting platform permitted according to current situation. “DC’s Intralot ‘sole-sourcing’ move clears first hurdle”, igamingbusiness.com, February 6, 2019.